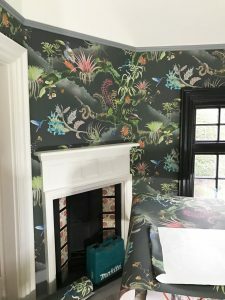 When we launched our fabrics at Decorex last year, and consistently ever since, people have asked if we would be producing the designs as wallpaper. Textiles, especially linens, are my first love, and it took me a while to come around to the idea, but I am now officially a complete convert. 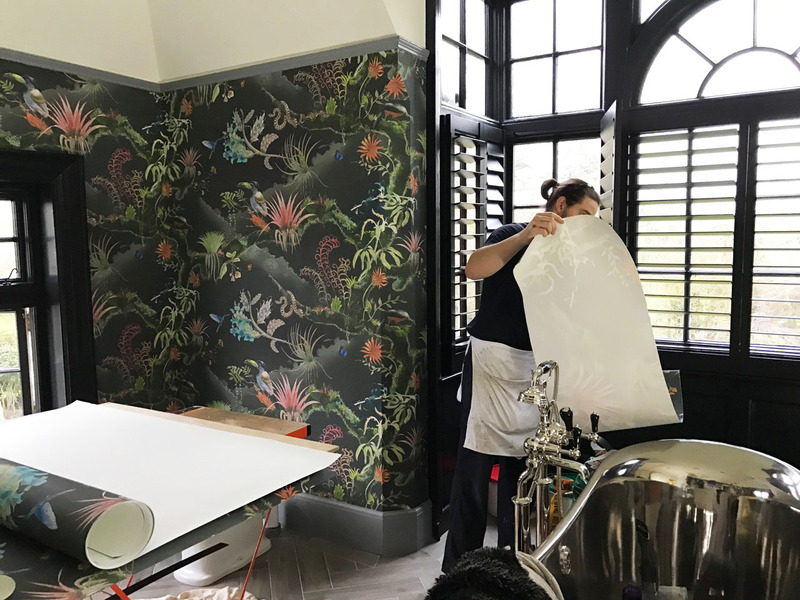 The layered effect in a room, how it enlarges and deepens the space, the clarity of the printing and the colour…it’s addictive! So it is with joy that we are able to launch all of our fabric designs as wallpaper. After sampling with many manufacturers, we are delighted with the product that we have achieved: a fine gicleé digitally-printed “real” wallpaper. We are printing in the UK on a natural non-woven cellulose-based substrate made from recycled materials – recycled polyester (PET) fibre and recycled wood pulp. The production process is solvent free with minimal waste and energy inputs. The papers are fire certified for Europe and North America, and can be sponge wiped. I am also besotted with the mellow, vibrant colours. We are looking forward to sharing it widely, so do request any samples that interest you. 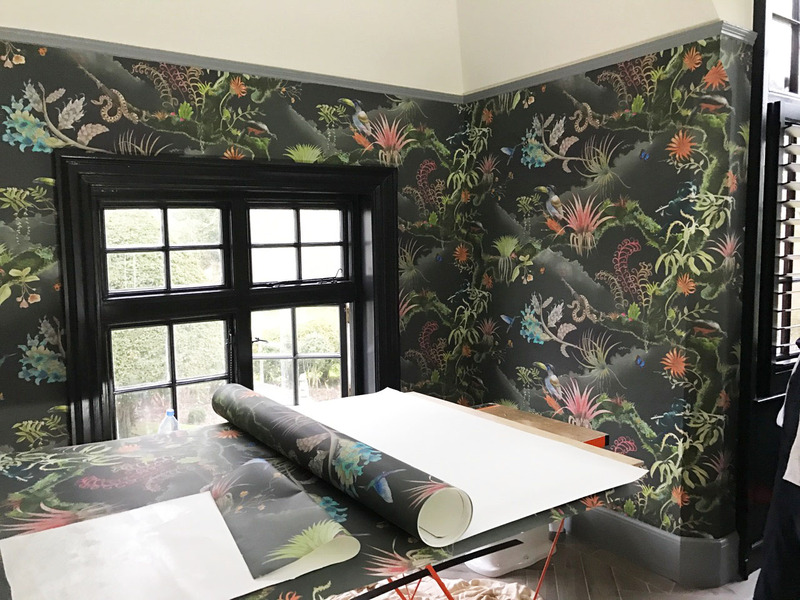 We are in the process of updating all of the designs on the website to reflect their availability as wallpaper. In the meantime, please be in touch for any details.